Criticising the solution advised by Delhi Government for tackling the menace of ever rising pollution in the national capital, the Congress Party on Saturday said that Chief Minister Arvind Kejriwal has ruined the Delhi Transport system and was behaving like the Turkic conqueror Muhammad bin Tughluq, who looted and plundered many Indian kingdoms. "Kejriwal is a very immature chief minister who doesn't know the capacity of his public transport system. Without knowing that he is issuing a 'Tughluq' order which is not possible. He should see whether we have enough public transport to carry people?" Congress leader Pramod Tiwari told ANI. "This could be possible only in countries which have a strong public transport system. I think Kejriwal is very much frustrated and he is doing the same thing which emperor (Tughluq) did to Delhi. 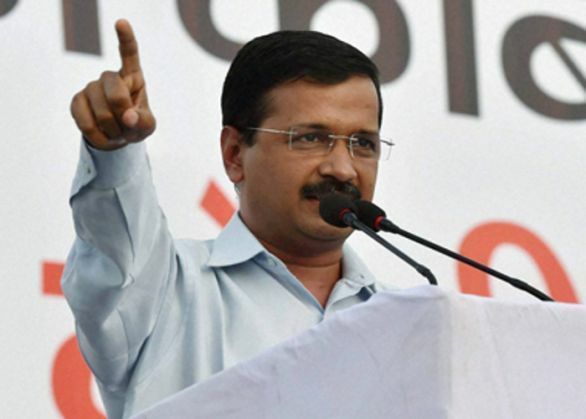 He (Kejriwal) has ruined the system after Sheila Dikshit and is just doing cheap publicity stunt," he added. The Congress leader asserted that he would certainly raise this issue in the Parliament and would ask not to get it implemented till Kejriwal gives alternative of a viable public transport. The Delhi government on Friday announced a slew of measures starting January 1 to bring down pollution levels in the national capital. According to the announcement, vehicles with odd and even number plates will be driven on alternate days. Delhi Chief Secretary K.K. Sharma said that extra DTC buses will be started and collaboration would be sought with the Delhi Metro to run more number of trains to manage the commuters who will not be able to drive down to their destinations. The announcement was made after an emergency meeting called by Chief Minister Arvind Kejriwal, a day after the Delhi High Court said living in Delhi was like 'living in a gas chamber'. Plans submitted by the Environment Ministry and the Delhi Government were 'not comprehensive', the judges said, because they did not specify responsibilities and a timeline. The National Green Tribunal had earlier ripped into the Delhi Government for not acting 'seriously' on the menace.